Never Underestimate The Power Of An Oil Change! The average cost of a year’s worth of oil changes is estimated around $120, this data was gathered from receiving an oil change every three months, or four times per year. That number seems pretty costly, but not when compared to the cost of not doing them. Not replacing the oil and filter can be absolutely detrimental to a car. Might as well call the junkyard, because your engine can seize. Yeah, sure, you can replace your engine to avoid the routine oil changes, lines at the shop, the forty dollars you will have to cough up every time for parts and labor, and not to mention, the time you could have spent with your car on the road. 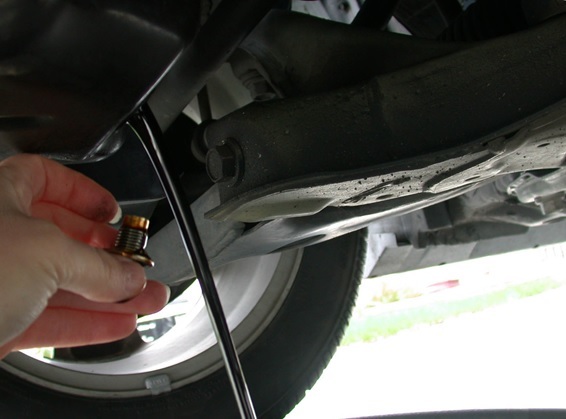 A routine oil change is just as important as regular brake change services. The average engine swap is very, very pricey. Just in labor, you are going to be looking at a bill of at least $1000. You can find mechanics who will do it for cheaper, but remember that especially in the case of cars; you get what you pay for. The engine itself is what is going to be the big Kahuna. Price dependent upon the make, model, and year of your car, a new engine could cost you anywhere between $3000 and $8000. Now that $120 bill for a year’s worth doesn’t seem so bad now does it? If spending $40 every three months could save you thousands upon thousands of dollars in the long run by significantly reducing the risk of engine trouble. Now you may be asking yourself why in the world replacing your oil and changing your filter could be so imperative. Your car rolled off of the assembly line a fine-tuned machine made up of thousands of gears and parts. Now imagine all of those parts spinning without any lubrication. Your oil is your engine’s lubrication. Like I stated before, your engine is made up of a lot of moving parts, which needs proper lubrication to work correctly. As you put the miles on your car, the oil in your engine begins to break down and become sludge. Sludge has none of the qualities of oil and no longer acts as a lubricant. Which, once again brings us back to friction. If you continue using old oil can cause cracks and leaks because it will also be circling around old debris. Routine oil changes remove particles and debris from the wear on the engine and also all the oil that has broken down and turned into sludge. Over time, any dirt particles that may have slipped past your filter can cause corrosion and play a big part in the death of your engine. Keeping your engine clean is the biggest part of promoting your vehicle’s longevity. Routine oil changes are a huge part of BMW service and repair. Oil build up robs your car of its fuel economy and makes internal components work harder; when your car works harder, you are looking at more problems down the road. If you don’t change your oil for a long time you could irreparably damage your engine. Check out Sellthecarusa.com – they buy damaged and broken cars. Previous PostPrevious Why Ryan Gmw Is The Best Service For Bmws? Next PostNext Is Induction Service A Waste Of Money?